By Xah Lee. Date: 2013-03-08 . Last updated: 2013-10-04 . 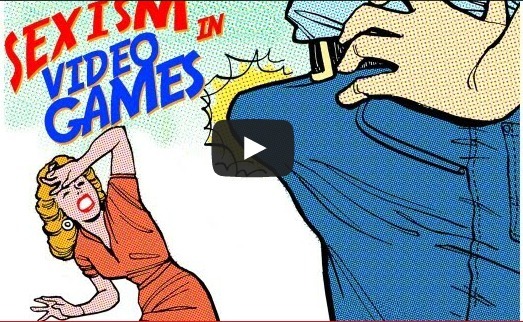 Damsel in Distress: Part 1 - Tropes vs Women in Video Games made by Anita Sarkeesian. it's a bit long. The first 20 minutes are basically clips of video games. She tells you how “damsel in distress” is a popular theme in videos games. Her punch-line, comes in the last 4 minutes (at 21:00). Very typical. She says that how this needs to be changed because stereotype blab blab. i'm a man. I'm not a hero. I don't want to risk my life to fight dragons. Shouldn't we, censure how WRONG it is from the male perspective, too, then? y'see? stereotype is a good summary of worldly facts. Mythologies, folklore, fairy tale, embody our fears and desires. Males are the action heroes because statistically it is males doing that, our job, our responsibility, willy-nilly. To proctect our wife, children, from beasts and other human animals. It is nature, it's history, it's how things are. It's the result of actions and behaviors of the whole human animals, male and female. first, let's see a female game developer's response. now, watch this hilarious one. More than a Damsel in a Dress! and this, a warm, positive, thoughtful, response from a woman. the solution to sexism in video games.